Item is a customer return in NEW unused condition. Supply 1 Square Shower Glass set, Approx. 1000mm*1000mm*1985mm. The above price incl. 3pcs 10mm clear toughened glass, 1pc 10mm clear toughened top brace, stainless hinges, stainless handle(round or square), aluminum channel. 900mm Wall hung 2 drawer vanity, vitreous china top. Dimensions = 900w x 540h x465d. All NZ hand made cabinetry. The product is from a leading New Zealand Tap Ware supplier and manufacturer. The Alvita range offers you excellent performance tapware with quality design for last. The brilliant Cozee Generation 6 Hot Water Bottle can be ready in just minutes. Just plug in the Cozee Generation 6 Electric Hot Water Bottle for 18 minutes and the warmth and relief will last from 3-5 hours! Bath tub, accessories, taps, head shower set & vanity. 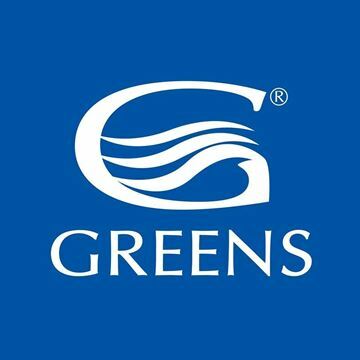 Our products designed for NZ bathroom and Kitchen environments Greens is an ISO 9001 accredited company. Limited supply. To view our products listed on Marketplace go to the link below.